We come up with 10 new toyota innova crysta for rent outstation from bangalore Audi A8 and BMW 7 series. (Date : Sep-2018). We come up with New toyota commuter & Audi A8 and BMW 7 series. (Date : Jan-2018). We come up with 5 new toyota Innova (Date : Dec-2017). We added 2 more toyota furtuner & BMW Q7 (Date : Oct-2017). 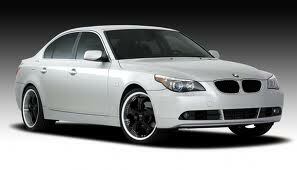 We come up with New toyota furtuner & 5series and 7 series. (Date : Sep-2017). We come up with 2 new Totota Innova & Audi A7. (Date : Sep-2017). We come up with New toyota furtuner & Audi Q7,Benz S Class. (Date : Aug-2017). We come up with new Maruti 10 Swift & 5series and 7 series. (Date : Jun-2017). We come up with new two Toyota Innova . (Date : March-2017). We come up with new two Audi A6 and BMW Q7. (Date : Jan-2017). We come up with new two XUV 500 , Toyota Commuter and Benz S Class. (Date : Aug-2016). We come up with new two BMW Toyota Innova and Toyota Furtuner. (Date : July-2015). We come up with new Audi A8 5series and 7 series. We come up with new two BMW 5series and 7 series. (Date : Jan-2015). We come up with New LUXURY CARS AUDI,BENZ,BMW AND VOLVO BUS. (Date : 15-08-2014). we come up with New Toyata Commuter And Audi A7 Bangalore. (Date : 11-04-2014). we come up with Mercedes S-Class And Audi A8 Bangalore. (Date : 05-02-2014). we come up with Hyundai And benz E class Bangalore. (Date : 05-11-2013). New Toyata Commuter And Audi A8 Bangalore. (Date : 05-08-2013). we come up with New Toyata Commuter And Audi A8 Bangalore. (Date : 05-08-2013). Shrusti Travels have come up with New Mercedes Benz And BMW In Bangalore. (Date : 01-04-2013). Shrusti Travels have come up with New Toyota Commuter,Benz,Toyata Camry,Corolla,Honda City,Toyota Commuter,Rolls Royce More. in 2013 New Model Cars. Shrusti Travels have come up with one more Toyota Commuter More. (Date : 15-01-2013). Shrusti Travels have come up with one more Volvo Luxry Bus More. (Date : 10-03-2012). Shrusti Travels have come up with one more Imported toyota commuter More. (Date : 10-03-2012). Shrusti Travels have come up with New Cabs And City Taxi In Bangalore. (Date : 01-02-2012). Shrusti Travels have come up with one more Audi A8 & Ford Endeavour. (Date : 01-01-2012). Shrusti Travels have come up with one more Toyota commuter. (Date : 11-11-2011). Shrusti Travels have come up with one more Audi A6. (Date : 25-09-2011). Shrusti Travels have come up with one more Toyota commuter. (Date : 05-06-2011). Shrusti Travels have come up with another 1 new car Audi A6. (Date : 08-04-2011). Shrusti Travels have all classes of benz cars and bangalore no.1 benz cars hire . Shrusti Travels have come up with another 1 new car benz s class. (Date : 22-03-2011). Shrusti Travels have come up with another 10 new cars Maruti Ritz. (Date : 08-03-2011). Shrusti Travels have come up with another two new cars Toyota Innova and Toyota Camry. (Date : 08-02-2011). Shrusti Travels have come up with another one new Volvo Bus. (Date : 01-02-2011). Shrusti Travels have come up with another two new cars Honda Civic And Toyota Fortuner . (Date : 01-01-2011). Shrusti Travels have come up with New Mercedes Benz 350-S-Class (Face lift), 1st time in Indian Travel Industry. Shrusti Car Hire Bangalore Bapuji Nagar has the lowest possible prices for dependable and cheap Car Hire Bangalore Bapuji Nagar. The most convenient way to start your holiday in Karnataka is with a Car Hire Bangalore Bapuji Nagar. Reserve your Bangalore Airport car hire in advance to save even more money. You will pay a much lower price when you book your Car Hire Bangalore Bapuji Nagar well before you will arrive. We deliver discounted prices for car hire destinations all over the India, including Bangalore. With Shrusti Car Hire Bangalore Bapuji Nagar, you can be confident that the price you are quoted is the best all inclusive rate possible. Give yourself a perfect holiday with the freedom of Car Hire Bangalore Bapuji Nagar. You deserve a smooth vacation and you will be pleasantly surprised at the simplicity of a Bangalore Airport car hire. Do not waste anymore time, book your vehicle today with Shrusti Car Hire Bangalore Bapuji Nagar. The end result will be a worry free vacation and a satisfying experience. There is only one place to get the highest quality cars for the cheapest prices and that is Shrusti Car Hire Bangalore Bapuji Nagar. We boast our self as the company who values and provide impeccable service to our customers. Perfection is a reality in Srusti Travels. Dates back to 1998, which was started by a single car rental,car hire bangalore, and today Srusti Travels have achieved a phenomenal success in owning more than hundred fleets. Shrusti Travels was launched with a premium objective of offering a safe and reliable medium of travel to customers and with a vision to give a form and structure to customized solutions for various corporate client and other professions and individuals who need our service. We have focused on providing a dedicated and timely service which has helped us to create a strong base of clients all over India. We ensure passenger comfort to the minutest detail, Shrusti Travels has pulled out all the stops from bringing in the latest technology in supporting 24/7 customer service and customer support. Our fleet includes a wide range of vehicles, carefully hand picked and chosen for your needs, we have models which matches the requirement right from large corporate houses to customers who indulge in luxury cars for leisure. Shrusti Travels has the flexibility to give you varied option ranging from chauffer drive and car , weekly rentals, monthly rentals, contract vehicles , corporate usage , employee pckup and drop, events, Marriages etc. We are specialised in bulk booking. To give the best times to our customer when they are under our service. To build a technology driven, nationally networked personal ground transportation and luxury car services to our customers. At Shrusti Travels, you will find a team of dedicated professionals, each contributing their optimum expertise to deliver and ensure complete satisfaction to our customers. We give you a rich experience of luxury travels.